Robert Brian Waterhouse was executed by the state of Florida on February 15, 2012. 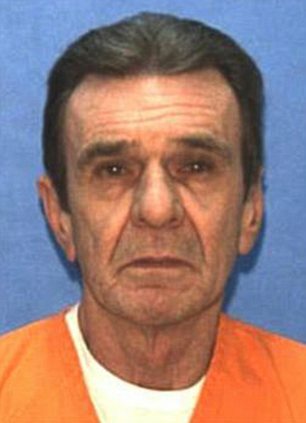 Robert was pronounced dead at 8:22 pm EST, inside the execution chamber at the Florida State Penitentiary in Raiford, Florida. Robert was 65 years of age. He was executed for the brutal murder of 29-year-old Deborah Kammerer, on January 2, 1980, in St. Petersburg, Florida. Robert spent the last 32 years of his life on Florida’s death row. At the time of the murder, Robert was on a lifetime parole for the burglary and murder of 77-year-old Ella Carter in New York in 1966. He served eight years in prison. In between prison sentences, Robert worked as a construction worker and frequently drank, becoming violent when drunk. Robert insisted that he was innocent. Please pray for peace and healing for the families of Deborah and Ella. Please pray for the family of Robert.